Career Success Stories: Share Your Favorite One With Us! Career Success Stories - Share Your Favorite One With Us! We all love to hear career success stories. For one, they are motivating when we hear of other people’s hard work paying off. When you share these career success stories, others can also learn from them. 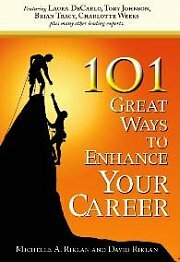 It can act as a guide and may even be good reminder of some basic principles in our quest to seek career success. Go on, let the rest know of your favorite, it can be YOUR own story. How you got where you are now. Or do you know someone else whose story is worth sharing with the rest of us? We would like to hear it. Don’t know how to start your career success stories submissions? Start by saying how did you know this person? What sort of environment does this person work in? Perhaps background about this person? How did this person get to where they are now? What challenges did this person face enroute to success? Just start typing your career success stories, and we will help you edit if need be. Women at work do not like me. God, The World and Fate. Success is achieving your goals and objectives with happiness, love and glory. Luckily for me my desire to come out on top trumps my thoughts of throwing in the towel. If someone could give me some points over these question that would be great. Why do you deserve this position?